22mm straight end link will fit the BN Series adapters. Brushed steel. 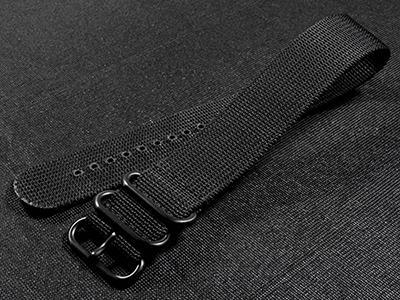 Custom made to be a better fit with the BN Series. Custom made to be a better fit with the Suppa-G. 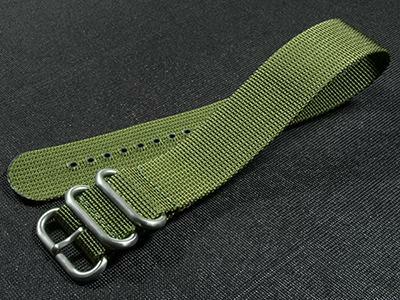 This custom made 12 inch long nylon zulu strap has over 5 inches of sizing holes. The longer length and extra sizing holes make these zulus able to fit a wider range of wrist sizes. They can be cut down for smaller wrists. This solid black zulu has brushed stainless steel rings, and is marked STEVRAL on the buckle ring. 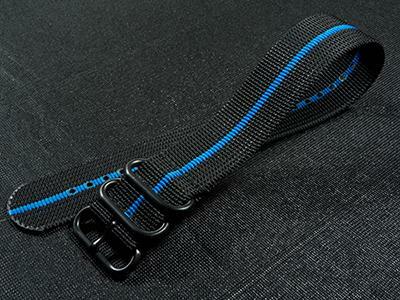 This custom made 12 inch long nylon zulu strap has over 5 inches of sizing holes. 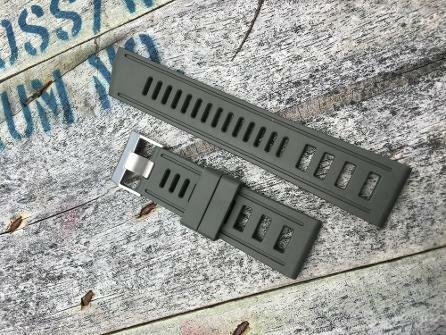 The longer length and extra sizing holes make these zulus able to fit a wider range of wrist sizes. They can be cut down for smaller wrists. This solid black zulu has black coated stainless steel rings, and is marked STEVRAL on the buckle ring. 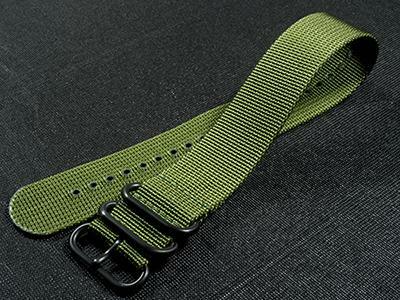 This custom made 12 inch long nylon zulu strap has over 5 inches of sizing holes. The longer length and extra sizing holes make these zulus able to fit a wider range of wrist sizes. They can be cut down for smaller wrists. This black zulu has a blue stripe, stainless steel rings, and is marked STEVRAL on the buckle ring. 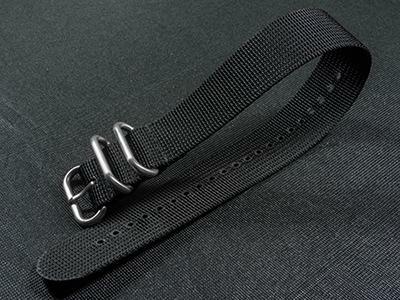 This custom made 12 inch long nylon zulu strap has over 5 inches of sizing holes. 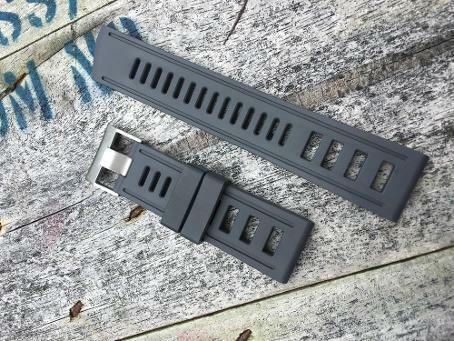 The longer length and extra sizing holes make these zulus able to fit a wider range of wrist sizes. They can be cut down for smaller wrists. This black zulu has a blue stripe, black coated stainless steel rings, and is marked STEVRAL on the buckle ring. 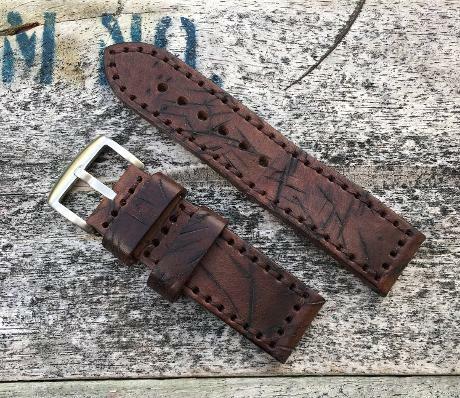 This custom made 12 inch long nylon zulu strap has over 5 inches of sizing holes. The longer length and extra sizing holes make these zulus able to fit a wider range of wrist sizes. They can be cut down for smaller wrists. This black zulu has an orange stripe, stainless steel rings, and is marked STEVRAL on the buckle ring. 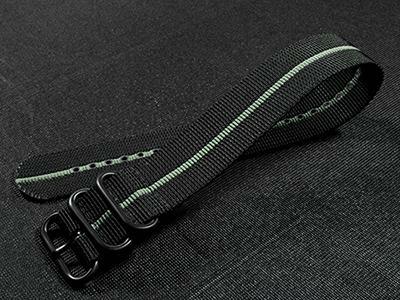 This custom made 12 inch long nylon zulu strap has over 5 inches of sizing holes. 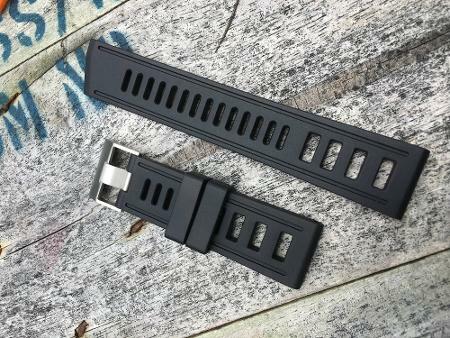 The longer length and extra sizing holes make these zulus able to fit a wider range of wrist sizes. They can be cut down for smaller wrists. This black zulu has an orange stripe, black coated stainless steel rings, and is marked STEVRAL on the buckle ring. 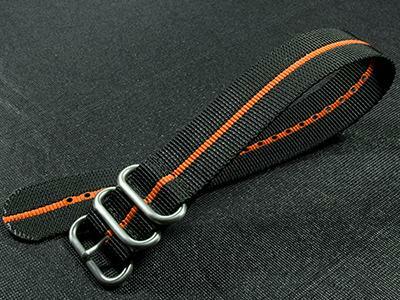 This custom made 12 inch long nylon zulu strap has over 5 inches of sizing holes. The longer length and extra sizing holes make these zulus able to fit a wider range of wrist sizes. They can be cut down for smaller wrists. This black zulu has a grey stripe, stainless steel rings, and is marked STEVRAL on the buckle ring. 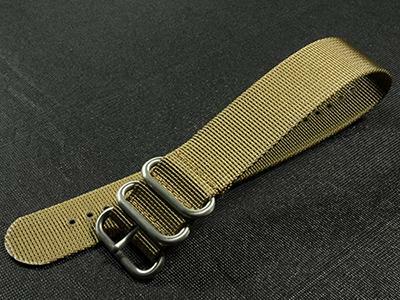 This custom made 12 inch long nylon zulu strap has over 5 inches of sizing holes. The longer length and extra sizing holes make these zulus able to fit a wider range of wrist sizes. They can be cut down for smaller wrists. This black zulu has a grey stripe, black coated stainless steel rings, and is marked STEVRAL on the buckle ring. 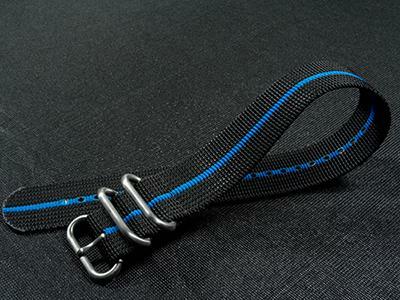 This custom made 12 inch long nylon zulu strap has over 5 inches of sizing holes. The longer length and extra sizing holes make these zulus able to fit a wider range of wrist sizes. They can be cut down for smaller wrists. This desert zulu has stainless steel rings, and is marked STEVRAL on the buckle ring. 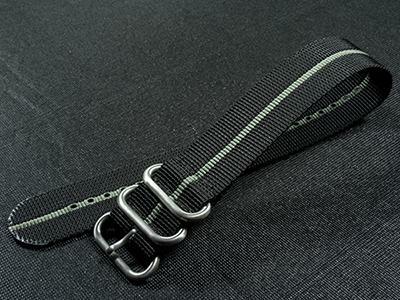 This custom made 12 inch long nylon zulu strap has over 5 inches of sizing holes. 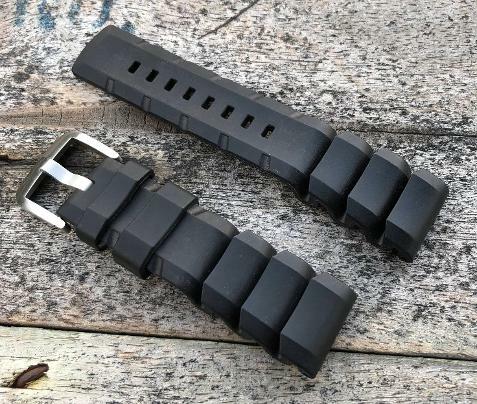 The longer length and extra sizing holes make these zulus able to fit a wider range of wrist sizes. They can be cut down for smaller wrists. This desert zulu has black coated stainless steel rings and is marked STEVRAL on the buckle ring. 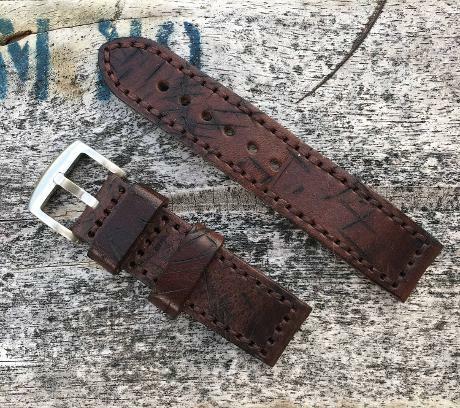 This custom made 12 inch long nylon zulu strap has over 5 inches of sizing holes. 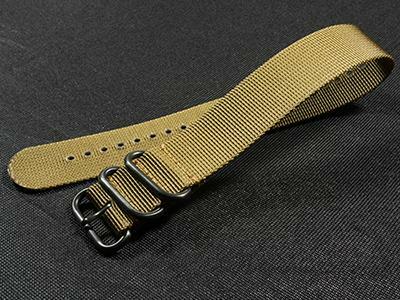 The longer length and extra sizing holes make these zulus able to fit a wider range of wrist sizes. They can be cut down for smaller wrists. This jungle zulu has stainless steel rings, and is marked STEVRAL on the buckle ring. 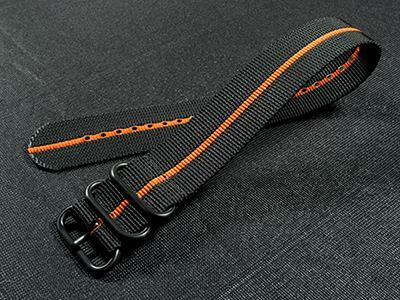 This custom made 12 inch long nylon zulu strap has over 5 inches of sizing holes. 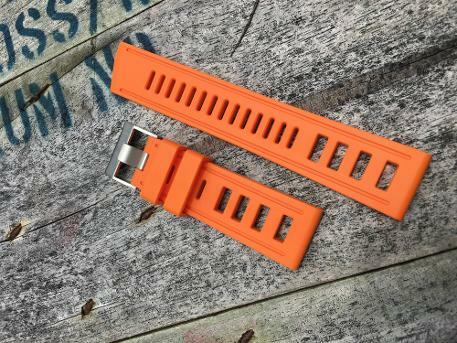 The longer length and extra sizing holes make these zulus able to fit a wider range of wrist sizes. They can be cut down for smaller wrists. This jungle zulu has black coated stainless steel rings, and is marked STEVRAL on the buckle ring.